Ten years and over 75 home shoots later, we still can't get enough of seeing - and sharing - the best Santa Clarita has to offer. It is with a heart of gratitude that we thank all of our generous hosts for inviting us into their homes and making us feel welcome. 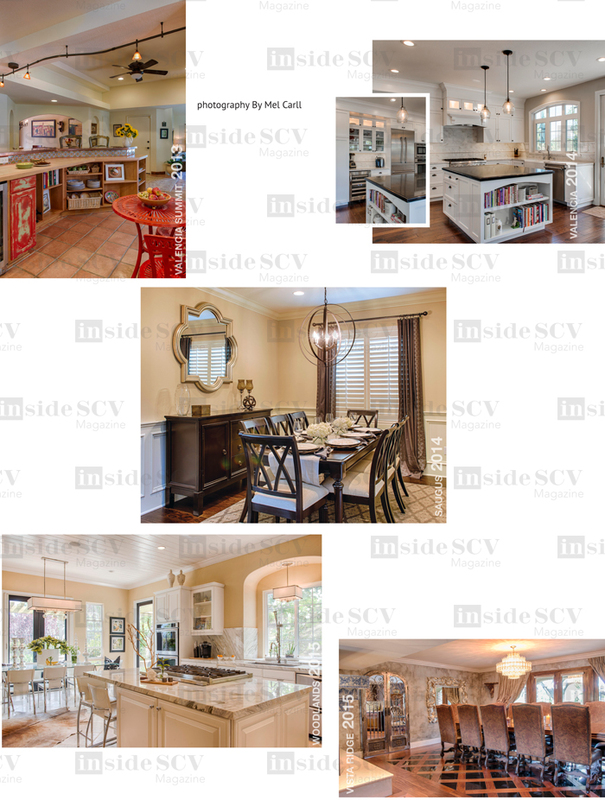 This DIY homeowner really set the bar for homes we chose to photograph. His accent was strong as was his ability to create the ultimate staycation retreat. If these walls could talk... This home was filled with repurposed antiques, mixing "something old" with a new, fresh twist added by the gifted homeowner. 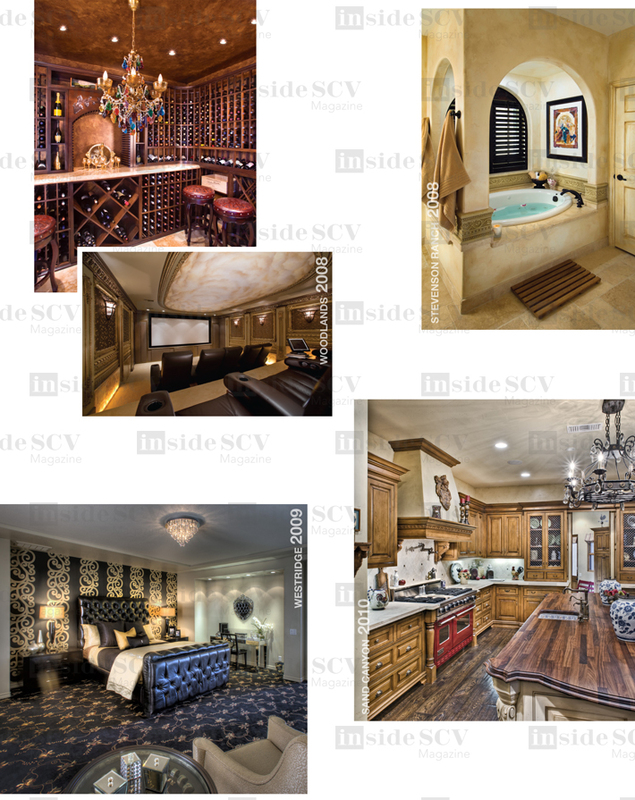 Our first glimpse into the world of Westridge custom estates was sheer perfection. 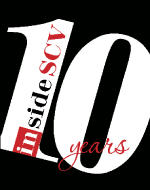 This shot will always be an iconic Inside SCV photo. This home's details had details. Built to be a classic, it held true to its roots and was furnished by Douglas Furniture (255-8366). We'll never forget the day our jaws were reintroduced to the ground when we walked into this home theater. 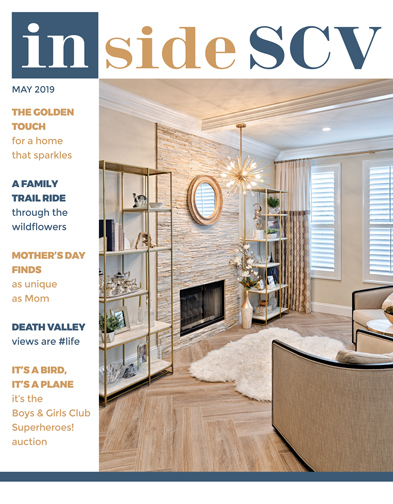 It was a 2011 national award winner for best paint by Allbright 1-800-PAINTING and graced the cover of Home Entertainment Magazine (We shot it first!). The exquisite bar had us wanting to imbibe at 10am and day dreaming about the custom London Bronze Allbright specialty finish. This retreat designed by Surfaces USA (775-9404) was one masseuse short of day spa heaven. We were ready for the comeback of Hollywood glam when this master suite dazzled us with sparkle to spare. It's been five years and I still think of this carved wooden island daily. It is truly one of the most remarkable things I've seen in person. 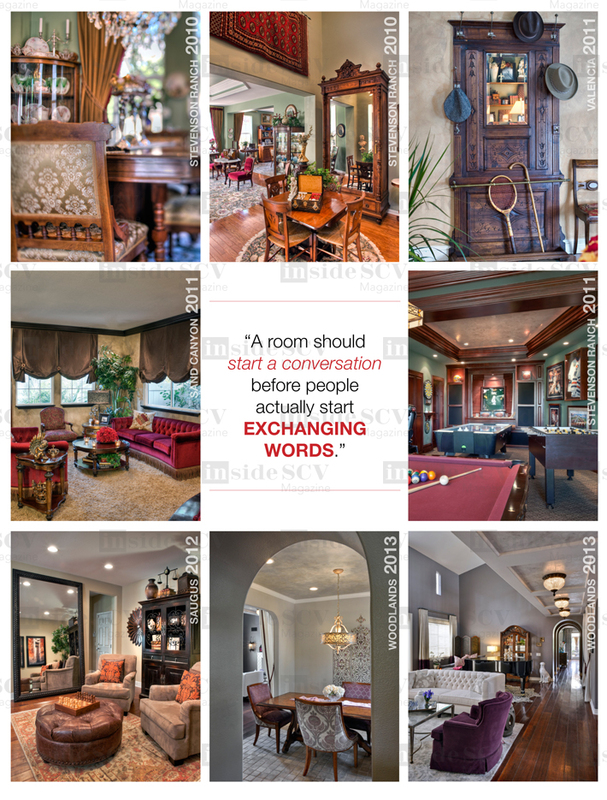 The homeowners/visionaries were custom builders and specialized in the memorable. Can't say we were sad to see sparkle stay in style in the way of metallic paint finishes. These created by Cindy Rowley Designs (505-7175) are two of our timeless favorites. We were introduced to the exotic wood masterings of Dannick Design, Inc. (775-7430) when we walked into this living space. The textures, lines and reflections were paired perfectly to the ingenious artisan who lived there. We actually applauded when we walked into this eclectic home. Calling them overachievers for turning an ordinary space into a extraordinary space is still an understatement. Yes, please! 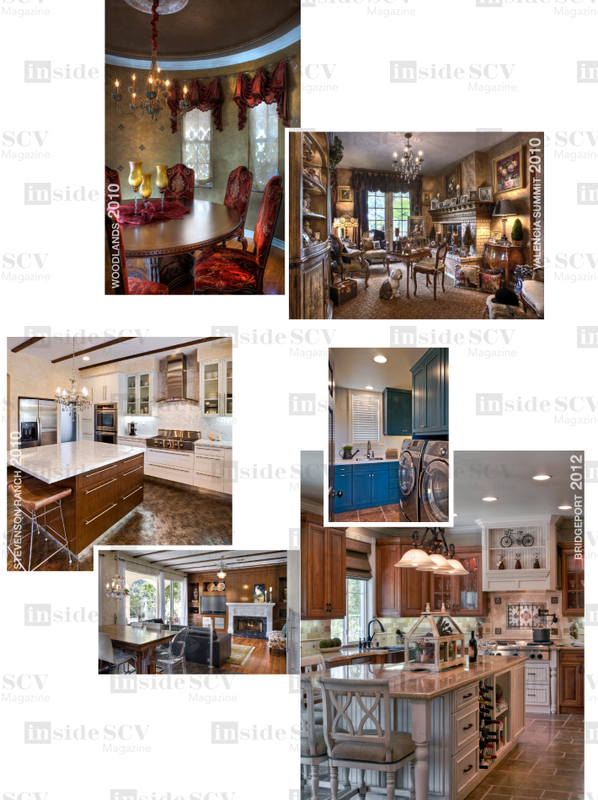 This kitchen crafted by Randal G. Winter Construction Inc. (799-8089) actually inspired us to want to cook! Clever storage solutions, maximized gathering spaces and the contrast of the black counter to the clean white lines of the cabinetry were a winning combination. This gathering space was designed by Rebecca Rollins Interiors (367-4394). The geometric and mirrored details were divine and perfectly matched the homeowner's style. Designed by Surfaces USA's own Stephanie Laney, this contemporary masterpiece made us question our personal design and yearn for more. Clean and open space has never been so opulent. The history in this custom home is as old as we are. In our youth these homes were the finest the valley had to offer and they still are. Just ask anyone lucky enough to dine in this expansive formal dining room. 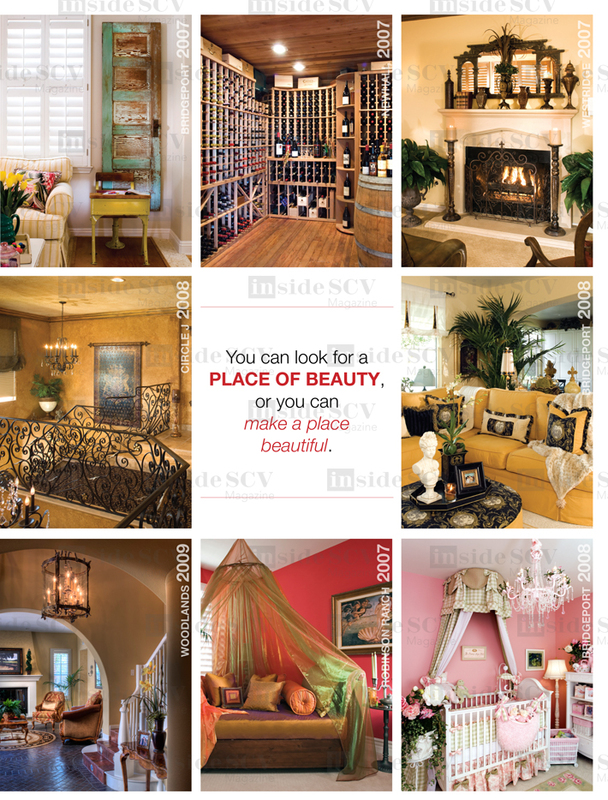 Think your home should be featured in Inside SCV? Don't wait a decade to let us know. 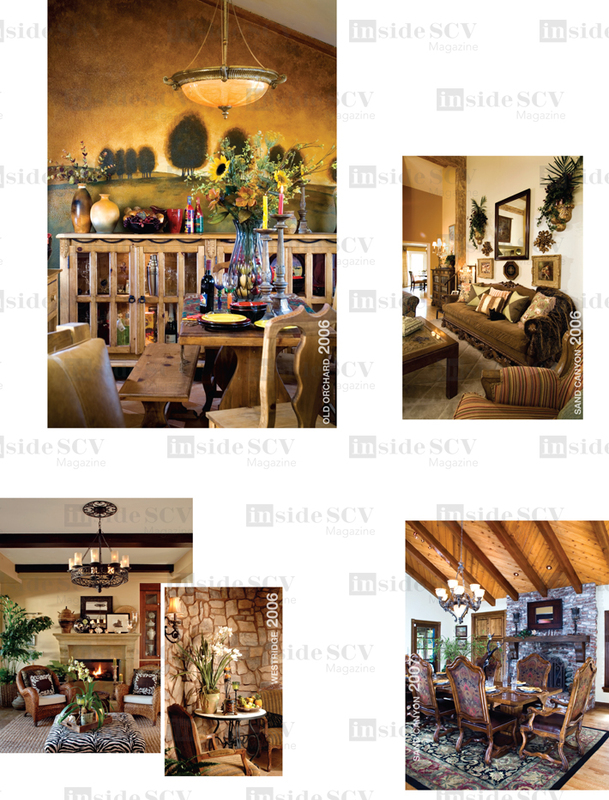 Contact homes@insidescv.com with a few snapshots of your interior or exterior spaces.